The Luxor Single Column Crank Adjustable Stand Up Desk is a single column stand up desk which enables healthy and productive working at a low cost. Maneuverability combined with a spacious surface allows you to keep efficiency at an all time high. A sturdy, single column conserves space and gives legroom when your sitting. The central crank enables you to move from sit to stand without moving from the front of your desk. The Single Column Stand Up Desk is the perfect addition to cubicals, classrooms, home offices, and much more, for a healthy means of catalyzing creativity. Quickly move from sit to stand at heights. The desk space is perfect for a laptop with ample space for a monitor, keyboard, and mouse. 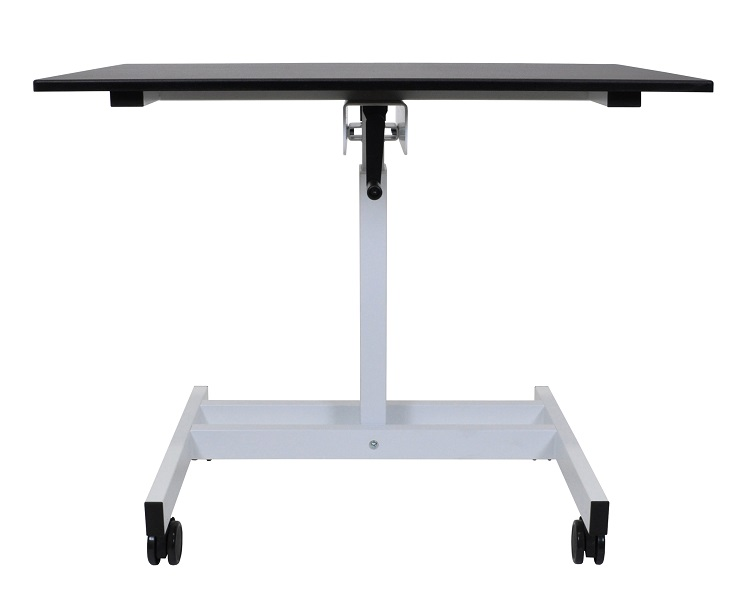 Four 3" casters, two with locking brakes, make moving your desk effortless.